VARIO-HAUS Gives your life a home. Under the top VARIO-HAUS prefabricated house brand, single-family homes are manufactured using wood frame construction and are then sold primarily as minimum energy and passive houses. The range on offer includes homes in every architectural and construction stage. The sale of single-family homes takes place via five model houses located throughout Austria and one in South Tyrol. 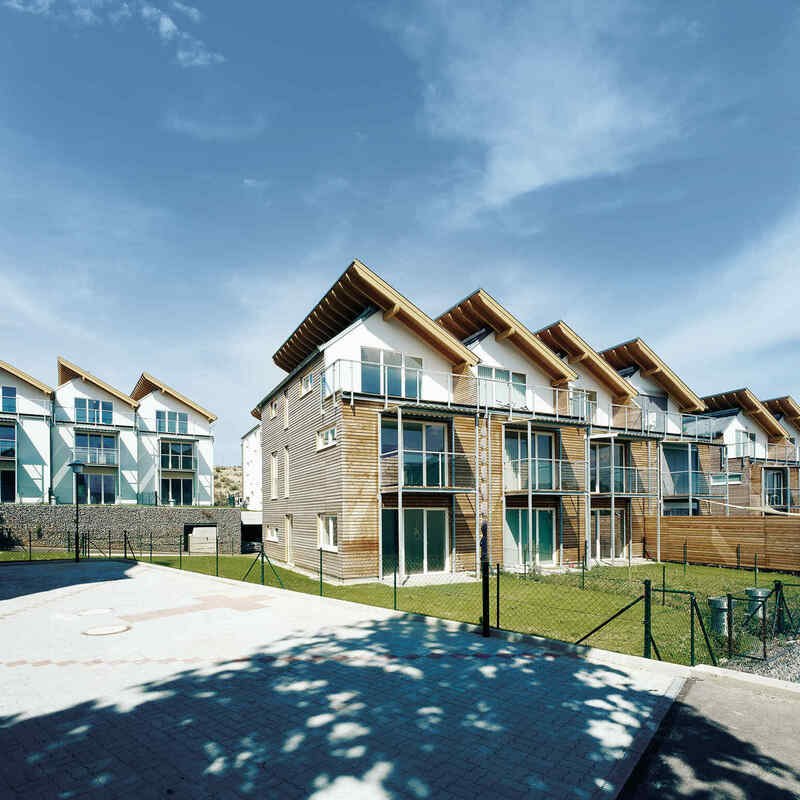 Two model houses are situated in the “Blue Lagoon”/SCS near Vienna and one in the model house park in Haid near Linz. Further model houses are to be found in Graz and Klagenfurt. The model house in Nals/South Tyrol has been built as a passive house and was completed at the beginning of 2006. 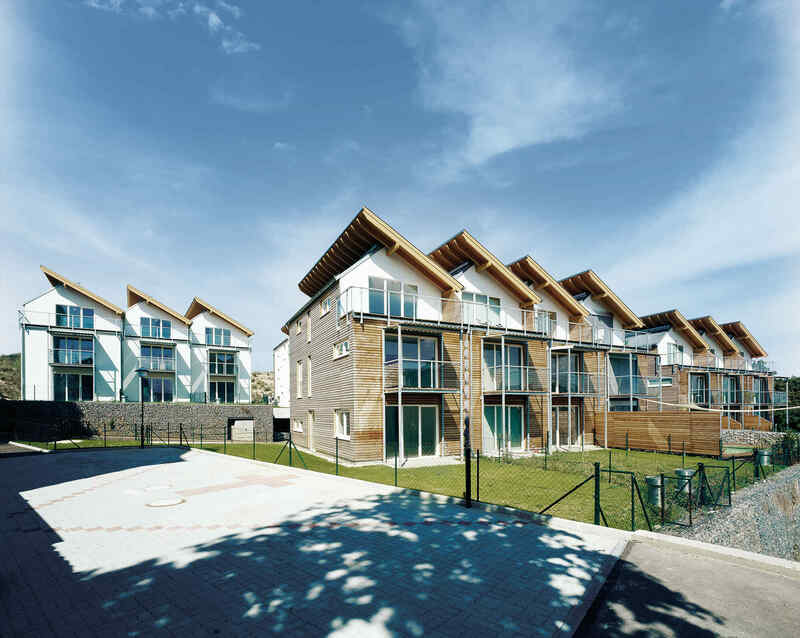 Under the manufacturer’s brand VARIO-BAU, terraced houses, office buildings, kindergartens and all other developer objects, as well as communal buildings are designed and manufactured. With around 100 employees, sales revenues of over € 21 million were achieved in 2014, which represented a conservative increase over the preceding year. Roughly 180 house units (single-family homes, terraced houses, apartment block, developer objects, etc.) were produced. The company was founded in 1983 as VBS-Variable Bau Systeme GesmbH and then renamed as VARIO-BAU Fertighaus GesmbH in 1989. In 1989, the first plant in the Wassergasse in Wiener Neustadt was put into operation. 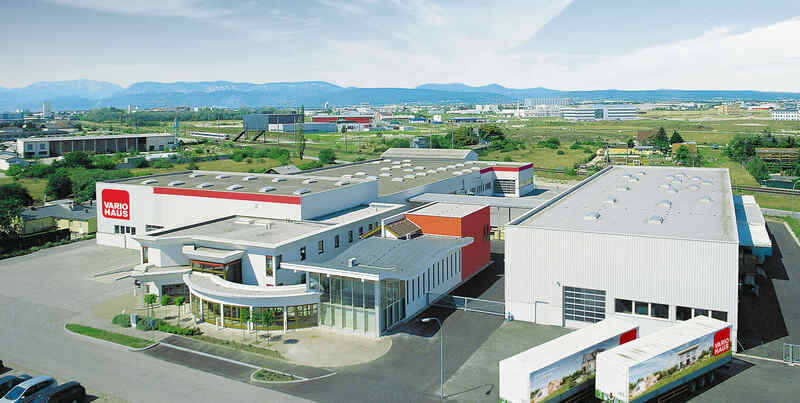 In 1994, successful company development led to the complete reconstruction of the plant and the main offices with an area of 4,300m2 at the current location in the East Industrial Estate in the Ackergasse in Wiener Neustadt. The new premises had a total area of 20,000m2 and in the spring of 2001 the plant was massively expanded with a second production hall and entirely new high-tech machinery for wall, ceiling and truss production, as well as a sample centre. The useful area of the plant was thus increased to around 5,600 m2. The company has been awarded with the Austrian and Prefabricated House seals and is a member of the Austrian Prefabricated House Association. All the required individual certifications are possessed. 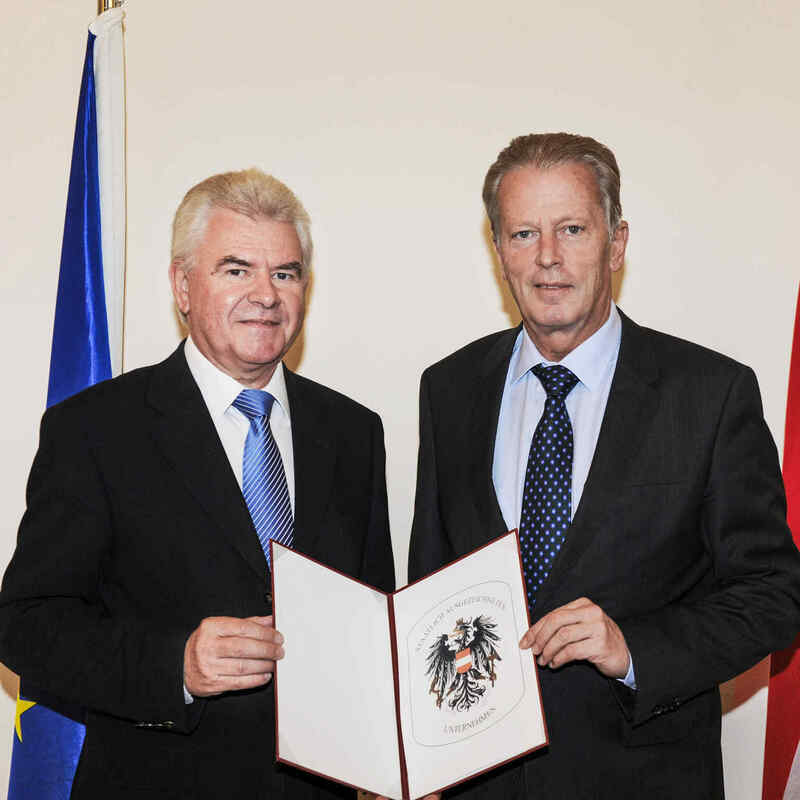 The European Technical Licence (ETC) was allocated in 2007 and in the same year the company became a “klima:aktiv” partner of the Ministry of the Environment. 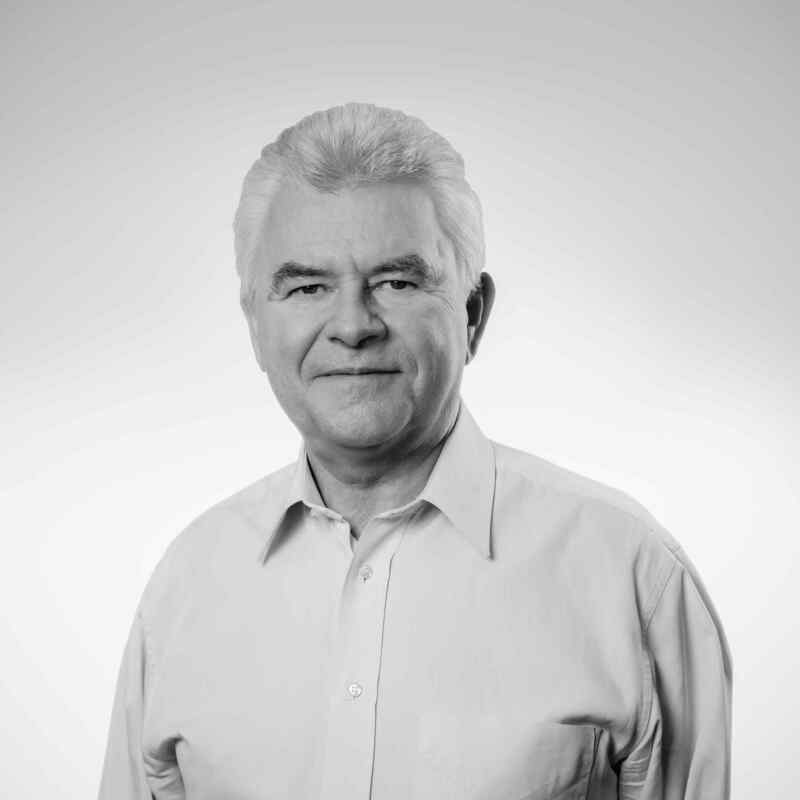 Josef Gruber is the founder and CEO of VARIO-BAU, a member of the Board of the Austrian Prefabricated House Association and President of the European Prefabrication Association. Eva Lachner, Martin Sinawehl and Daniel Gruber hold the power of attorney. An increasing number of public and private developers, local authorities and companies are turning to prefabricated houses for their building projects and hence to wood frame construction. In addition our innovative minimum energy and passive house construction methods secure high residential building grants. These factors can provide additional returns and cost cutting potential for both the developer and other clients. A high level of potential customer interest is certain, alone with regard to energy certification and hence the energy efficiency of your project.